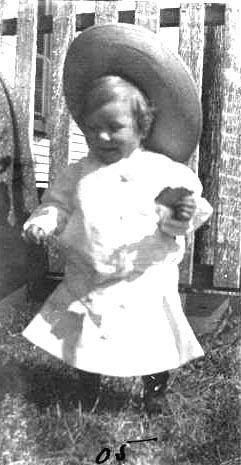 Mary Elizabeth Dancy (1903-1940) Taken at Dancy Home Place, Dancyville, Age 2-plus yrs - 1905. Yum Yum (Garnett - Fayette County). Died at 37 yrs. from cancer. Buried in Dancyville Methodist Cemetery.